Easter egg hunts delight children of all ages. Few things are more fun than sighting a green egg nestled under a green plant and placing it in a basket. Easter egg hunts are not without problems, however. 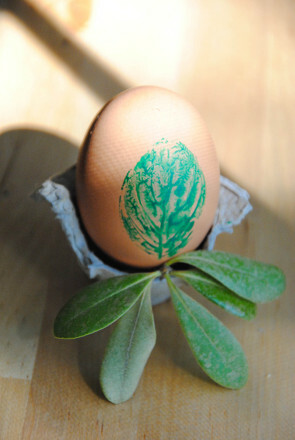 An undiscovered hard-boiled egg can become quite noticeable as spring warms up. Filling plastic eggs with candy is fun, but how many jelly beans should kids be eating? One creative solution is to hold a gardening Easter egg hunt. Prepare your garden plot or pots for the seeds. You might want to do this with your child, or you might want the eggs filled with seeds to be a surprise. Hoe a row for each colour of egg or type of seed, or create a pot for each collection of seeds. If you have the seed packages, you might want to place them on sticks for easy identification. 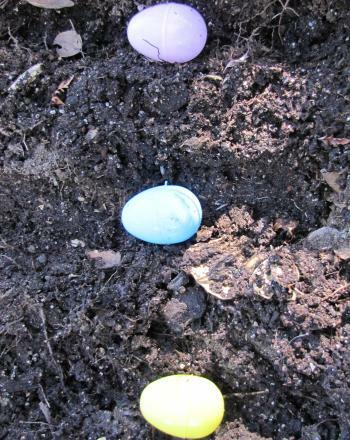 You could also put one egg of each colour in the places where you want your child to plant similar kinds of seeds. Fill the plastic eggs with a small amount of seeds, making sure that all of the eggs of a given colour contain the same kind of seed. Once the last eggs have been found, direct your child to the garden area. 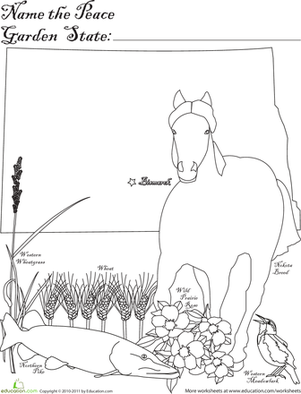 Have him sort the eggs by colour and show him how to plant the seeds. Keep the empty plastic eggs for next year. Is it too cold in your area to plant seeds at Easter? If so, you could make tiny planters with hard boiled egg shells, add dirt and the discovered seeds, put the planters in a sunny window, and wait for warmer weather. 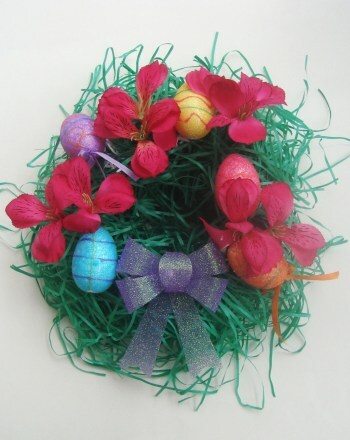 Another fun idea is to match the colour of the eggs with the colour of the future flowers. Whatever you decide, your children will enjoy finding the eggs, and the fun will continue in the garden. Best of all, weeks later, your Easter surprise will continue to enchant as the flowers or vegetables begin to sprout. 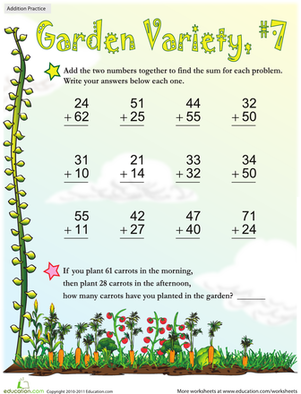 Surprise him with a garden-themed worksheet full of colorful veggies. 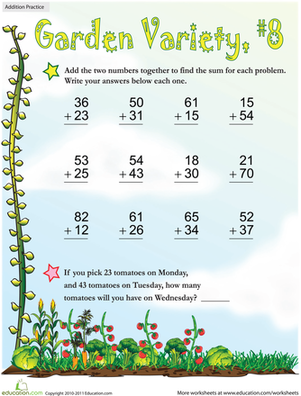 Liven up maths practise with a little garden addition.